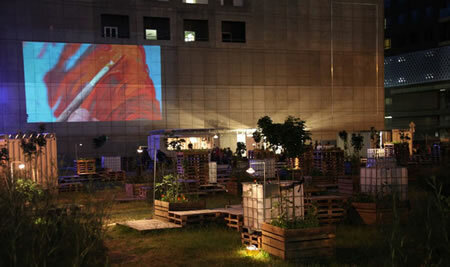 Testing Grounds is a free open-air art space. It is a place for experimentation and testing ideas, for public gatherings and educational opportunities in the heart of Melbourne's arts and cultural precinct. Testing Grounds is located just behind the Arts Centre. We are next door to The Australian Ballet Centre and most easily accessed via the City Road stairs from St Kilda Road, just beyond Inge King's sculpture, Forward Surge (the black waves).